The 2018 Tactical Communications Summit will focus on advancing network capabilities by delivering enhanced C4ISR and information dominance to the current and future Warfighter. 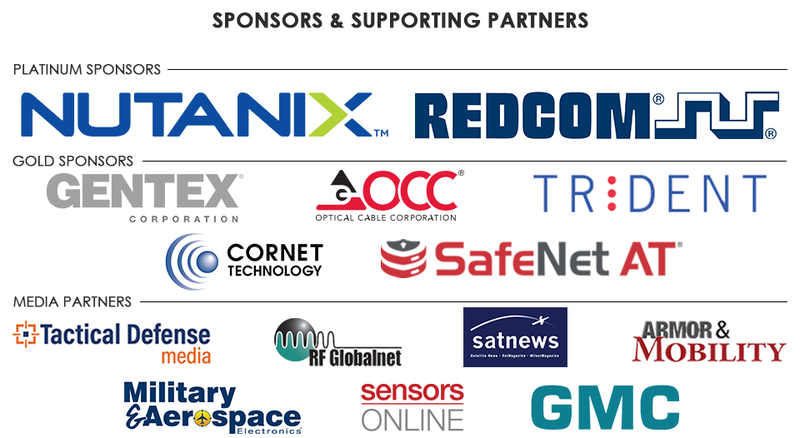 The Summit will look to strengthen reliable access to data, voice, and video anytime and anywhere to support situational awareness and operational flexibility at the tactical edge. The 2018 Military Tactical Communications Summit will serve as an educational forum for personnel from US Military Commands, DoD Labs, and Industry to discuss the efforts being made to advance C4ISR capabilities, as well as enhance the tactical network for the Warfighter. The Summit will look to strengthen the commanders’ situational awareness and C2 capabilities through ensuring reliable access to data, voice, and video anytime and anywhere on the tactical edge. The current Warfighter requires a real-time, operational picture to ensure information dominance. While operating in an array of austere, expeditionary environments, their ability to receive and transmit critical information may become compromised. This makes the Warfighter reliant on the Commander to effectively communicate this vital information to them from Mission Command. To ensure that operational superiority is maintained, both the Commander and the Warfighter will need to be provided with a network that is simple, yet agile. Commanders are dependent upon the development of resilient, sustainable tactical networks for continued battlefield success. This summit will provide an in-depth look into the policies and strategies that are currently facilitating tactical communication networks for increased operational flexibility. DSI’s team specializes in the extensive research and development of our Summit’s content and focus areas, and we will assemble the most respected minds in the community from operational leaders, the R&D Community, key policy-makers, as well as solution providers from industry and academia. Our non-partisan approach allows us to reach across all involved organizations bring together a truly holistic group of decision makers and solution providers. Gain Education & Insight: Walk away with knowledge gained from our senior level speakers on some of the complex challenges facing our tactical communications community. Influence: Help foster ideas! Share your own insight and knowledge during our interactive sessions. All attendees are given the opportunity to address our speaker faculty with their questions, comments or ideas. PEO C3T, FBI Critical Incident Response Group, Joint C4 Planners Course, USAF HQ AFSPC A2/3/6CJoint Communications Support Element (Airborne), HQDA G-8, 1st Combat Communications Squadron / UASFE, Institute for Defense Analyses, HQDA G-8, U.S. Army CIO / G-6, DoD CIO, Harris Corporation, 1st Combat Communications Squadron USAF, Joint Staff Naval Air Forces, White House Office of Science and Technology Policy, US Naval Research Laboratory, U.S. Department of State, Manager, Security Forces Unit Type Code Management AFSFC/FGCM, SAF/ADIQ, 5th Combat Communications Group, Defense Intelligence Agency Division for Cyber & Enterprise Operations (CIO-3), FCI Enterprises, LLCCTR DTRA J3-7 (US)USAF, U.S. Coast Guard, MAGTF Tactical Networks USMC, NSA, DISA & JFHQ-DODIN, HQMC C4/CS, Boeing, Pacstar, Axom Technologies, Raytheon, General Dynamics, Cisco, Rockwell Collins, SCI Technology, Motorola Solutions, DuPont Electronics, Thales, Elbit, NES- A CSRA Company, Gentex, Leidos, Booz Allen Hamilton, John Hopkins Applied Physics Lab, DARPA, CECOM, USSOCOM, USN, CERDEC and many more! 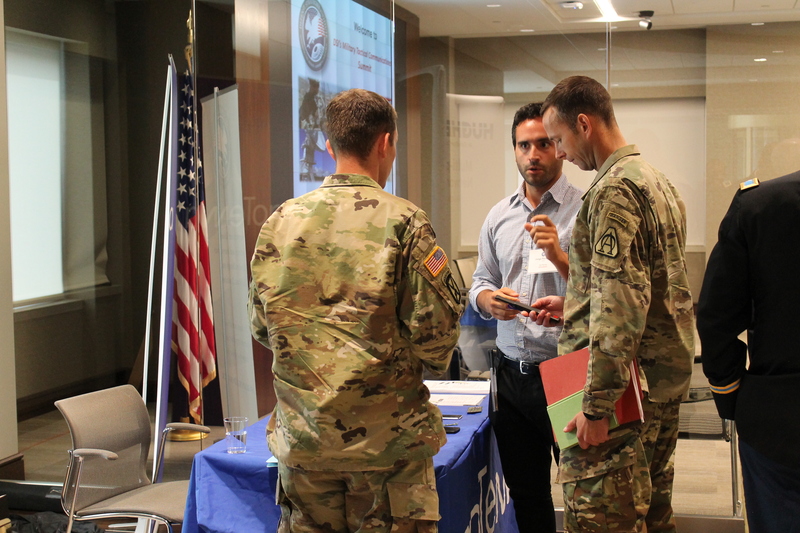 The Military Tactical Communications Summit provides opportunities including exhibit space, roundtable discussions, product demonstrations, and networking receptions. Download the Sponsorship and Exhibiting Prospectus Here. 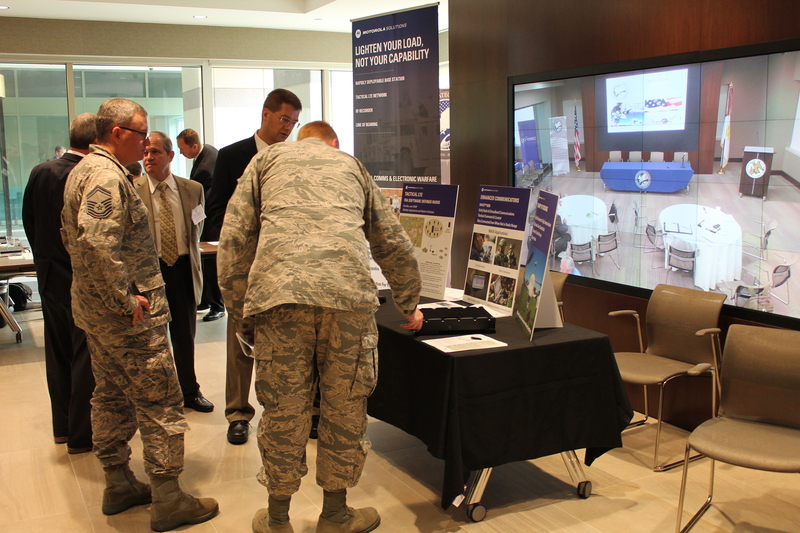 – DSI’s Summit directly supports DoD and Federal Government priorities by providing a conduit for officials to efficiently reach audiences outside of their respective offices that directly impact their department’s mission success, at no charge to the government, and in an efficient expenditure of time. – DSI’s Summit will provide a forum to address and improve internal and external initiatives, meet with and hear from partner organizations, disseminate vital capability requirements to industry, increase visibility within the larger community, and generally support their mission. – The Summit is open and complimentary to all DoD and Federal employees and is considered an educational training forum, and a widely attended gathering.